Good morning campers! We’ve got a full schedule of events this week, so don’t be left out! We’re here to give you a jump start on the day with a few highlights of today’s schedule. Start off fresh this morning at 10 am with the 2019 Startup Survival Guide. 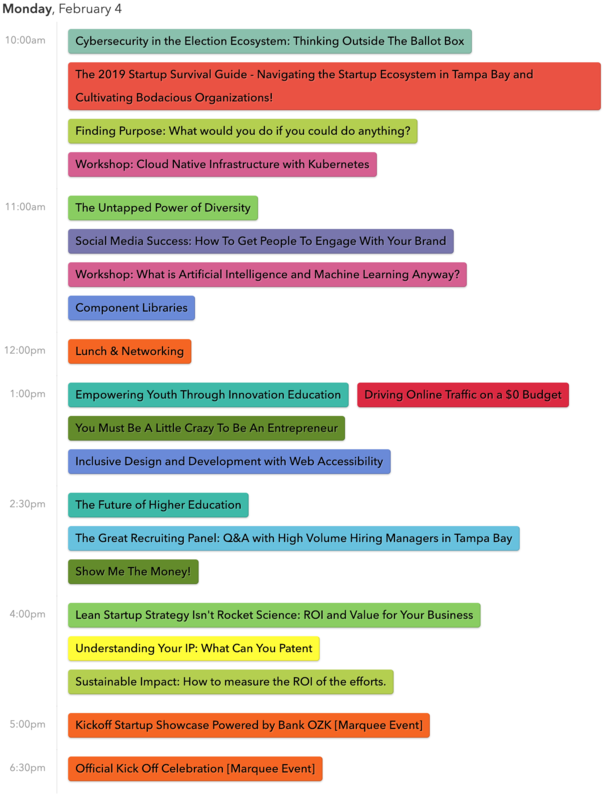 Speaker Michael Sutherland, Managing Director of Full Stack Talent, will be giving a comprehensive talk about such topics as the core skills needed from any startup leader, how to properly engage in the greater entrepreneurial ecosystem, choosing the right talent for your team, and so much more. Every day at 12 we’ll take a break for lunch and networking. In St. Pete we’ll have some food trucks ready to serve and when we move to Armature Works, you can sample one of the many restaurant booths they have. At 2:30 let Amy Kochek tell you why Your Story is Your Greatest Asset! Learn from Thomas Stanton how to protect your IP at 4 pm. At 5:00 pm we’re kicking off one of the Startup Showcase! Take a look at about 20 local businesses that have proudly started up in the Tampa Bay area. Sample their wares, see what they have to offer, interact with the crazy entrepreneurs who made them happen! And, last but not least, finish off the day with our official kickoff celebration! There will be drinks, there will be food, there will be fun, games, networking, and startups! It’s everything great about TBSW concentrated into one big party! You can’t miss it! 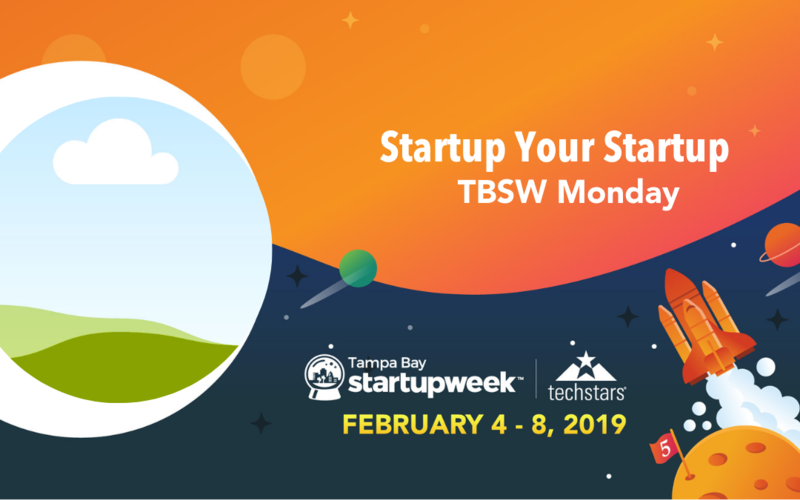 Thank you so much for attending Tampa Bay Startup Week this week! There’s only more to come, so we’ll see you tomorrow, too!